Oasis will be the first ship in her class and the world&apos;s largest to sail from the Northeast. For the first time since 2015, Anthem of the Seas will return to the U.K. to sail alongside Independence of the Seas, marking the cruise line&apos;s biggest presence in the region to-date. Royal Caribbean International is charting a new course with its 2020-21 deployment plans, touting a fleet of Royal Amplified ships sailing to exciting destinations. An amped up Oasis of the Seas will greet Lady Liberty and deliver new vacations from the Northeast with 7-night Caribbean itineraries that include an unforgettable day at the cruise line’s highly anticipated private island destination, Perfect Day at CocoCay, The Bahamas. Oasis will be the first ship in her class and the world’s largest to sail from the Northeast. For the first time since 2015, Anthem of the Seas will return to the U.K. to sail alongside Independence of the Seas, marking the cruise line’s biggest presence in the region to-date. Celebrating its one-year anniversary in summer 2020, Perfect Day at CocoCay will welcome 10 ships from more ports than any previous deployment, including newly added Galveston, Texas, as well as Barcelona, Spain on Allure and Rhapsody of the Seas’ transatlantic sailings in November 2020. Adventure seekers from around the world will have more opportunity than ever to discover the thrill and chill experiences that await the whole family, including the tallest waterslide in North America, the Caribbean’s largest wave pool, and the highest vantage point in The Bahamas from a helium balloon that rises 450 feet in the air. Delivering on its promise of creating memorable vacations on land and on board, Royal Caribbean will tout seven ships in 2020-21 that have emerged from the global cruise line’s $1 billion Royal Amplified modernization program launched in 2018, introducing a wide range of bold, new adventures designed to appeal to all ages. Big news for the Big Apple – Oasis of the Seas, the ship that revolutionized cruise vacations in 2009 with game-changing industry firsts, from the unique seven-neighborhood concept to the iconic AquaTheater performance venue, will undergo a bow-to-stern transformation in 2019 and become the first Royal Amplified ship to sail from Cape Liberty in Bayonne, N.J., starting in May 2020. Oasis of the Seas will transport travelers to the clear blue waters of The Bahamas all summer with 7-night itineraries, as well as a select number of short cruises north to New England and Canada. Adventure of the Seas will return to Cape Liberty, sailing a variety of 5- and 9-night summer and fall itineraries to Bermuda, New England and Canada, The Bahamas and the Caribbean. Travelers can extend leaf peeping season on Vision of the Seas, which will offer three 10- to 11-night open-jaw itineraries between Bayonne and Quebec City with an overnight in Quebec’s capital – a UNESCO World Heritage treasure and North America’s only fortified city. Symphony of the Seas and sister ship Harmony of the Seas, the ultimate family ships, will return to PortMiami and Port Canaveral, Fla., respectively, offering 7-night itineraries to the Eastern and Western Caribbean. Both ships will feature visits to Perfect Day at CocoCay, the ultimate destination for thrill and chill, on nearly all sailings. Brilliance of the Seas will light up Boston in the fall, sailing 7- to 10-night cruises to Canada starting in September 2020, while Grandeur of the Seas continues to offer 9-night itineraries to Canada and New England for fall foliage from her year-round homeport in Baltimore, Md. Grandeur will embark on a combination of 5- and 9-night itineraries to Bermuda and The Bahamas in the summer months, and transition to 9-night Southeast Coast & Bahamas and 12-night Southern Caribbean cruises for the winter. Northeast, Canada and Bermuda itineraries will be available to book as of Dec. 13, 2018. In 2020, San Juan, Puerto Rico will welcome what will be the newly modernized Freedom of the Seas. The largest ship to ever homeport in San Juan will return for the third consecutive year to sail 7-night itineraries year-round throughout the Southern Caribbean, traveling beyond the typical getaway to exotic destinations like Philipsburg, St. Maarten; Basseterre, St. Kitts & Nevis; St. Johns, Antigua; Castries, St. Lucia and Bridgetown, Barbados. Rounding out the 7-night Caribbean offerings is Liberty of the Seas, which will continue to sail from Galveston to the Western Caribbean ahead of her own highly anticipated amplification in early 2021. The 7-night Bahamas, Bermuda and Caribbean itineraries will be available to book as of Dec. 13, 2018. No stranger to Perfect Day at CocoCay, two of Royal Caribbean’s Amplified ships – Mariner of the Seas and Navigator of the Seas – will continue to elevate short Caribbean getaways all year with 3-night weekend and 4-night weekday itineraries to The Bahamas. Reimagined in 2018, Mariner will continue to sail from Port Canaveral in Orlando, Fla., while an amped up Navigator will remain a resident of Miami, sailing from the cruise line’s state-of-the-art Terminal A. Navigator will be the third ship to be reimagined in February 2019, building on the successes of the brand’s Royal Amplified fleet modernization program to incorporate a lineup of firsts and Royal Caribbean favorites with new experiences, including an awe-inspiring Caribbean poolscape, two daring waterslides – introducing the longest aqua coaster at sea – the first blow dry bar the industry, elevated nightlife and dining, and thrilling activities. Short Caribbean itineraries are now open to book. Sharing the Texas-sized spotlight, Enchantment of the Seas will, for the first time from Galveston, offer a lineup of sailings to Perfect Day at CocoCay for adventurous vacationers who want to wrangle first-time experiences that will top any bucket list. Enchantment will continue a mix of 4- and 5-night Western Caribbean sailings in the summer, perfect for short getaways and first-time cruise vacationers. The Old World will get a new spin with Royal Caribbean’s summer 2020 deployment. Longtime New York resident, Anthem of the Seas, will make the journey across the Atlantic to Southampton, England returning for the first time in five years. Anthem is set to embark on her biggest adventure yet as the Quantum Class ship visits coastal towns along the Mediterranean, Northern Europe and the Canary Islands, on 8- to 14-night itineraries. Modernized in 2018, Independence of the Seas will return to Southampton for the season and sail 7- to 14-night cruises around the Norwegian Fjords, Canary Islands and North Africa, Scandinavia & Russia, and Italian Mediterranean, including new destinations Agadir, Morocco and Ponta Delgada in Portugal’s Azores archipelago in the mid-Atlantic. Vacationers can also revel in the beauty of the Baltic with a 14-night itinerary – a first for a Freedom Class ship – featuring an overnight in Copenhagen, Denmark and two nights in St. Petersburg, Russia. Royal Amplified will reach the far corners of Europe as Allure of the Seas and Explorer of the Seas debut multimillion-dollar modernizations as they journey across Europe for the 2020 summer and fall seasons to rediscover legendary landmarks, charming coastlines and the diverse cultures. 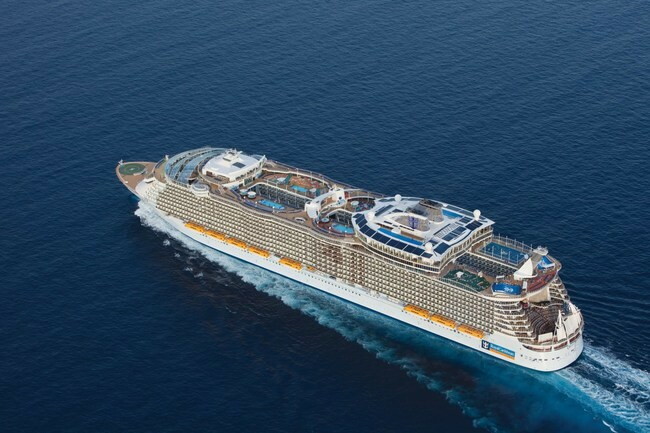 Allure of the Seas will be the first Royal Amplified Oasis Class ship in Europe, offering 7-night Western Mediterranean itineraries that depart from Barcelona. From Rome, the reimagined Explorer will offer a mix of 7- to 12-night sailings along the Greek Isles, uncovering storied temples, amphitheaters and villages. Vision of the Seas will join Allure in Barcelona for the summer and fall seasons to offer travelers 12-night cruises across the Mediterranean, as Rhapsody of the Seas returns to Venice, Italy for the summer to offer shorter itineraries, alternating between Greece & Croatia and the Greek Isles. Copenhagen will welcome Jewel of the Seas for the season, as the ship sails a mix of 7-night itineraries through the Norwegian Fjords and Scandinavia & Russia. Brilliance of the Seas will return to Amsterdam for a third summer, sailing 12-night Baltic itineraries and a special 12-night sailing around the British Isles. For a once-in-a-lifetime experience, adventurers can board Brilliance for a 15-night arctic crossing as the ship repositions from Amsterdam to Boston, Mass. European itineraries will be available to book the week of Dec. 17, 2018. All itineraries will be open to book by Crown & Anchor Society loyalty members one day prior to the general opening date.